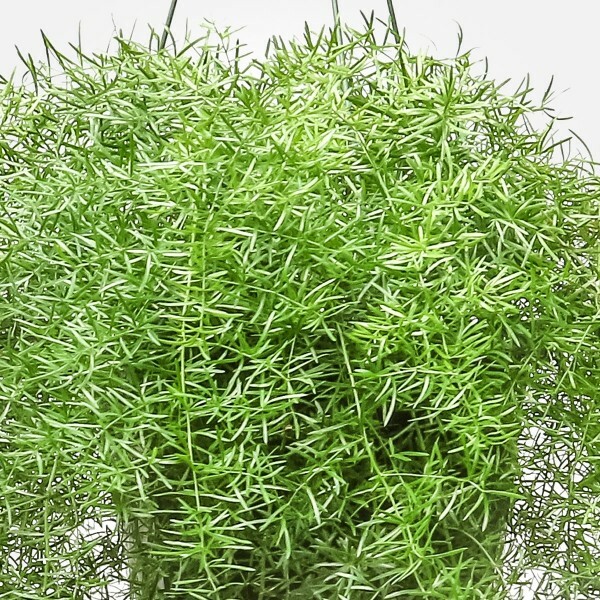 The frilly, feathery foliage of the Asparagus Fern adds visual interest to any window with bright, indirect light. 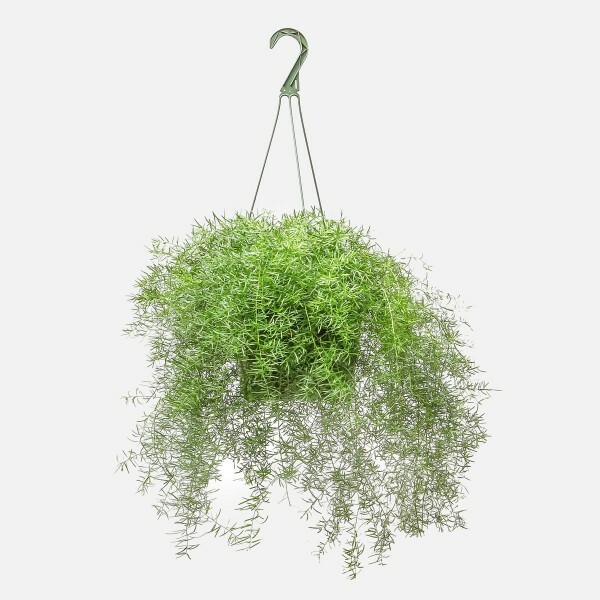 The Asparagus Fern is not technically a fern (it is in the Liliaceae family), so it does not require the same moist conditions as ferns. Asparagus Ferns don’t mind if you mist their leaves, but they are generally pretty drought resistant and prefer less water in the winter. You don’t have to worry about transplanting any time soon, as these plants like to be pot-bound. Placed in the right conditions, Asparagus Ferns can also produce small white flowers that transform into red berries. PlantShed delivers hanging plants anywhere in NYC.